IRS’ shedding of employees has centered disproportionately on tax collection, the Government Accountability Office said, leading to an agency capable of performing only a fraction of the work it did as recently as 2011. The reductions have been compounded by losses within its human resources office, leaving the agency without the capacity to engage in workforce planning or assessments of where it has the most needs. The agency is ignoring even tax returns with obvious discrepancies because it no longer has the resources to follow up on them. An 18 percent cut to the tax examiner workforce since fiscal 2011 has meant “thousands of refunds that would have received additional scrutiny due to errors or anomalies are no longer considered for follow-up review by tax examiners, and the government is potentially missing significant opportunities to collect revenue and enforce tax laws,” GAO said. The IRS has seen even greater losses in its revenue officer staff—employees who conduct in-person investigations into individuals and businesses that have not resolved their tax obligations—with employees in the position dropping by 40 percent since fiscal 2011. Entry-level workers in the position have declined a whopping 86 percent. In 2010, the IRS launched 3.5 million cases in which individuals did not file their taxes and 4.3 million cases for non-filing businesses. That dropped to 800,000 for individuals and 400,000 for businesses in 2018, reductions of 77 percent and 91 percent, respectively. Replacing tax examiners and revenue officers is particularly difficult, IRS officials told GAO, because of the extensive training and in-depth knowledge of the tax code that is required. All told, IRS’ budget has dropped by more than $2 billion since fiscal 2011, or 16 percent. Its workforce has declined by 19 percent in the same period, and its enforcement ranks have decreased by 27 percent. As a result, audits of individual filers have dropped by 40 percent in that timeframe. IRS went from auditing 18 percent of corporations with more than $10 million in revenue in fiscal 2011 to just 8 percent in fiscal 2018. The agency has also failed to address previous recommendations GAO made to better target enforcement toward collecting revenue. The government is not just losing revenue from uncollected taxes, the auditors said, but making greater interest payments to some taxpayers due to a slower disbursement of refunds. Following a 2015 congressional mandate, the IRS recently contracted with four companies to provide collection of long-term outstanding debt. As of September 2018, private companies had been assigned 700,000 cases and collected $88.8 million, or 2 percent of the balance owed. The staffing cuts have stemmed from policy decisions to trim the rolls in response to budget cuts, IRS officials told GAO. The agency implemented a hiring freeze in 2011, as well as limited overtime and training. In 2016, the IRS tasked its human capital office with conducting comprehensive workforce planning, which would take place in five phases. The agency has continually pushed back the first phase of that initiative and now does not plan to begin until after the 2020 filing season. Several factors have contributed to that delay, GAO said, including the allocation of resources to the tax reforms President Trump signed into law in 2017, the lack of employees with the requisite skills to engage in the planning within the human capital office and insufficient IT. The HR office has itself lost half of its hiring specialists since fiscal 2011. Human resources at IRS is now almost exclusively engaged in transactional work, GAO said, rather than any proactive planning. Activities such as identifying skills gaps and attrition forecasting have taken place on a fragmented basis throughout the agency, leaving the IRS without a comprehensive picture of its needs. The agency told GAO it did not know where its skills gaps are, as it has not used any workforce planning in recent years. The auditors subsequently identified more than 10 occupations with gaps. IRS previously planned to conduct an analysis of its IT workforce, but subsequently abandoned it to instead divert IT resources to implement tax reform. 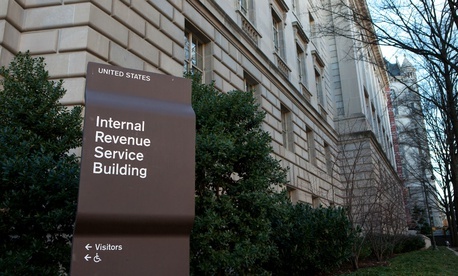 The problems at IRS are likely to only get worse. The agency must hire 1,100 employees to implement and enforce the new tax law, but GAO said it is ill-prepared to do so. Nearly half of the IRS’ Senior Executive Service employees are eligible for retirement, significantly higher than the government average. IRS management agreed with GAO’s findings and vowed to fully implement the agency's workforce planning initiative, better report efforts to close skills gaps and clarify the use of excepted hiring, among other changes.